Multiple relationships also receive additional attention here. It is noted that they are not inherently unethical, and are sometimes unavoidable. They are only unethical when harm is foreseeable. This is more likely to be the case if the nature of the dual-role relationship is to benefit the psychologist. Three areas to consider in assessing harm are power, duration, and termination. Power relates to the other’s ability to refuse the relationship. Suppose you ask a friend to watch your dog while you go out of town. Can they refuse? As a friend, likely so. Suppose you ask the intern you supervise? They may not feel free to refuse this request as you hold an evaluative power over them. Duration relates to the length of the dual-role interaction. Briefer dual role interactions may be less likely to cause a problem, although even a brief change in the relationship can be permanent. Termination relates to therapeutic relationships, but consider “when is the relationship over?” Is it ever over? Could the client return for therapy after the dual role interaction? In some ways, you could argue that the therapist never stops being the therapist in the client’s mind, and so a relationship with a client after therapy has formally ended is still impacted by the power the therapist once had. While the charge to “avoid harm” with our patients would seem clear, the Ethics Code goes further to specifically spell out some kinds of harm that are clearly more hurtful than others. Sexual harassment and exploitive relationships are two such clear areas. However, harm is not always committed through callous intentional acts; sometimes it results without any intention to hurt. 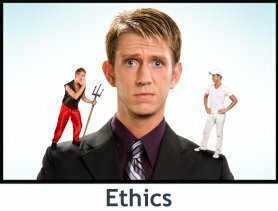 The Ethics Code places on us the onus to consider, in advance, the harm that could result from dual roles, conflicts of interest, and failure to adequately coordinate with other professionals to prevent clients from “falling through the cracks,” even in the event of unanticipated illness or death. While you might feel sure that you could avoid any misjudgment that a dual role relationship or conflict of interest might possibly cause, consider that the appearance of compromised or clouded judgment may in and of itself be harmful to your client, such as in legal settings. Thus, we ae expected to “play it safe” in professional situations to avoid even this kind of harm. We are also charged to make special efforts to inform clients of the possible uses of our knowledge and their work with us. We will know more about what could go wrong, and even if nothing does go wrong. We know what we will generally learn about others, for example in an assessment of their cognitive skills, and so we can know the general ways this information will be used. Thus, the onus is on us to make clear and documented efforts to explain this so that clients can know the foreseeable risks, and based on this make informed decisions. As noted on the discussion of the ethical principles, this stems from an ethical principle of respect for people’s right to make their own decisions.